DEAR JERRY: Here's a two prong question, a fun one that I doubt you've ever been asked. Who is the top singles artist who never had a charted album? Then, who is the top albums artist who never had a charted vinyl single? DEAR HOWARD: Yeah, this is a new one alright. To be fair, we must limit the scope here to no earlier than the 1950s, and the beginning of the LP era. My pick for the first prong is the McGuire Sisters. From 1954 through '61, Phyllis, Christine, and Dorothy charted one place or another with about 35 songs, including one No. 1 hit, “Sugartime” (1958). Yet, the only McGuire with a hit LP is Barry, with “Eve of Destruction” (1965). Bill Gaither is my overwhelming choice for prong two. Using several different variations of his name (Bill Gaither Trio; The Gaithers; Gaither Vocal Band; Bill and Gloria Gaither; etc. ), he has about 40 albums that did on the charts what his singles could not. DEAR JERRY: Several men had recordings of ”Funny How Time Slips Away,“ but I have never heard it by a woman. Since I don't hear anything in the lyrics that makes it gender specific, is there perhaps a female version I missed? It would have been a perfect fit for Patsy Cline. I bought it in the '60s by Johnny Tillotson. Is his the original? DEAR MARGARET: Johnny Tillotson's 1963 issue of ”Funny How Time Slips Away“ (Cadence 1441) may have been the first one you heard, but his is neither the original waxing nor the first to have a pop hit with Willie Nelson's masterful composition. Billy Walker was first out of the gate with the tune, in September 1961, but his single (Columbia 42050) barely made the C&W charts, then vanished after just two weeks. Definitely a shaky beginning, but royalties for Willie were about to increase. The following month, in Nashville, Chet Atkins signed 18-year-old Jimmy Elledge, and produced his first record. For this they chose ”Funny How Time Slips Away“ (RCA Victor 47-7946). The session featured Floyd Cramer on piano and took place at RCA's legendary Studio B. 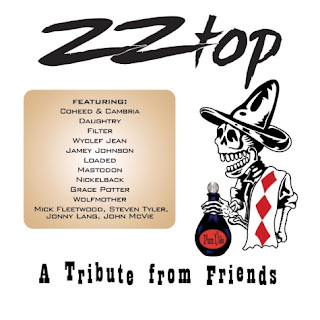 Despite the obvious C&W connections (Atkins, Floyd, Nashville), Jimmy's version was strictly a pop, or Top 40 format, hit. Spending 14 weeks on Billboard and peaking at No. 22 qualifies it as a success. Perhaps because only two years had passed since the Elledge hit, Johnny Tillotson's 1963 version (Cadence 1441) only reached No. 50. In the summer of '64, soul singer Joe Hinton gave “Funny” a go, and it turned out to be not only his biggest hit (Back Beat 541), but the top selling single overall of Willie Nelson's famed opus. It made No. 1 on the R&B and No. 13 on the Pop chart. Many females recorded “Funny How Time Slips Away,” though, other than a minor hit for Dorothy Moore in 1976 (Malaco 1033), none made a splash of any consequence. Here are a few recognizable gals who happily added “Funny How Time Slips Away” to their discographies: Wanda Jackson; Brenda Lee; Diana Ross and the Supremes; Tina Turner; Damita Jo; and Linda Ronstadt dueting with Homer Simpson. IZ ZAT SO? Amazingly, of all the classics penned by Willie Nelson in the '60s, not once did Willie's own version become a hit, though mostly by design. His primary source of income then was from writing, not singing. That would change big time in the '70s. 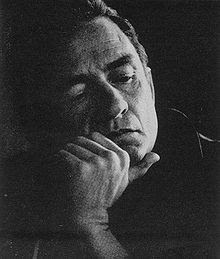 Three profitable examples, and those who made them hits, are: “Night Life” (Ray Price, Rusty Draper); “Hello Walls” (Faron Young); and “Crazy” (Patsy Cline). The Smile Sessions will be released by Capitol/EMI on October 31st and will be available digitally and as a dual CD, double vinyl, or in box sets including 7 inch singles, shadow-boxes, signed lithographs and even a custom-made Hobie longboard. 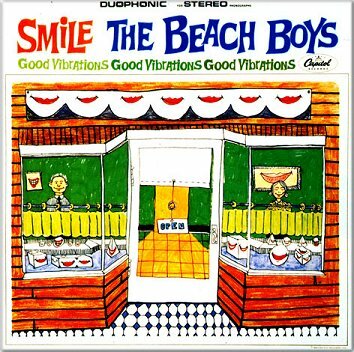 Brian Wilson, Al Jardine and Mike Love have worked with engineers to polish off the Beach Boys' original session masters, which were aborted when the group began work on 1967's Smiley Smile. 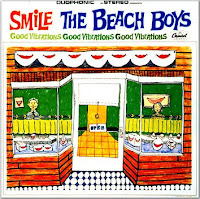 Besides Smile itself, the Beach Boys are issuing four albums of bonus material, including demos, alternate mixes and studio chatter. There is also a 60-page hardbound book, including essays by Wilson, Love, Jardine and Bruce Johnston, who joined the Beach Boys in the lead-up to Smile. September 23, 1991 was like any other autumn night in Boston – unless you happened to be in the now-long-gone club Axis on Lansdowne Street, Boston, where one of the greatest rock shows of the past two decades blasted the black box room’s lid into the stratosphere. 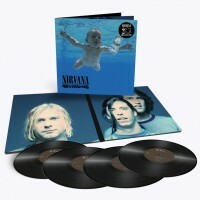 Not coincidentally, September 23 was the day before the release of Nirvana’s Nevermind, and the headliner was – you guessed it – Nirvana. Hexfire, which recently signed to Nightmare Records, has recently revealed the cover artwork for the band's upcoming album called 'The Fire of Redemption.' However, no official release date has yet been announced but expect further details on the album to be released soon. 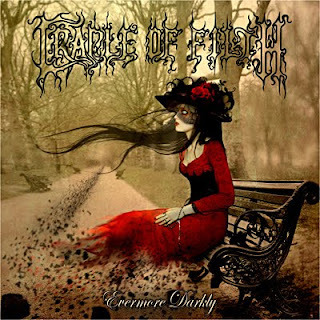 i love the cover art! British hard rock outfit MAGNUM are scheduled to release their new album 'Evolution,' in Europe November 14th, Germany November 11th, and US/Canada at the end of November via teamhammer/SPV. 'Evolution' contains eight songs from their previous comeback albums which were partially re-recorded and fully re-mixed, two from 'The Visitation' album and two totally new recorded songs. Roadrunner Records just announced that they have signed progressive rock behemoths Rush. "We have tremendous respect for Roadrunner Records, and what Cees Wessels and Jonas Nachsin have built on a worldwide level. After years of Roadrunner pursuing the band, Tom Lipsky presented a deal that worked and the timing was right. We wanted to be at a label focused on the rock genre – and that's Roadrunner," said Ray Danniels, manager of Rush. "In another life I worked with Rush and their great management team more than 30 years ago and to have Rush finally on the Roadrunner label is a dream come true. I am grateful for Ray Danniels' confidence in this new partnership," said Cees Wessels, Roadrunner Records Chairman. "Rush has a tradition of excellence and independence, both in the studio and on the live stage, and they remain as prolific today as at any point in their career. We are excited to be their label partners," said Tom Lipsky, President of Lipsky Music, LLC, who brokered the significant deal for Roadrunner. The first release from Rush through this deal will be various live configurations, recorded during their highly successful Time Machine tour that wrapped earlier this summer. Details of the release will be revealed in the coming weeks. The band will remain on Anthem/Universal Music in Canada only. rollingstone.com has this bit of news! "Working in a band is a lot like what I imagine making movies is like," says Lindsey Buckingham. "It's political and it takes a lot of verbalization to get from point A to point B. When I work alone, it's more like painting. You are one with the canvas and it's a subconscious, meditative process." One of the last of the bluesmen whose roots go back to the early-20th century has passed away. 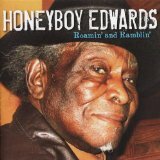 David "Honeyboy" Edwards died today (Monday) about 3 A.M. in his home at the age of 96. Edwards stayed active musically until this past April when he fell ill, with shows still scheduled in Chicago and Europe. 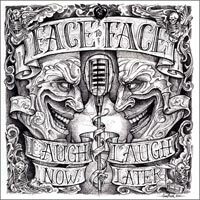 His last appearance was April 16 and 17 at the Juke Joint Festival and Cathead Mini-Festival in Clarksdale, MS.
Face To Face have announced a vinyl release of their new album, “Laugh Now Laugh Later“ due out September 27, 2011. The album will be pressed on blue vinyl which is limited to only 500 copies. You can pre order “Laugh Now Laugh Later” now. Ooohhhh, cool - a week of oddities. Ok, the Butcher Cover isn't odd . . . well, yes it is for the Top 5 . . . it's definitely not the prime Beatles collectible anymore, the UK 1st pressings of "Please Please Me" fetch more money, and low numbered "White Albums" are classier and far more interesting. 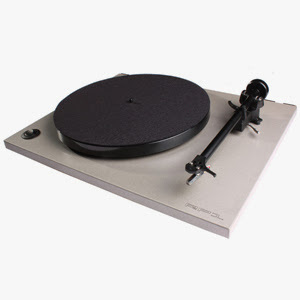 Hell, I'm more interested in a South American mono fold of "Abbey Road", and though they go for far less money than a Butcher Cover, they are way harder to find. The #1 goes to a local LA punk treasure; the two Prog LP's in the #3 and #5 spots are both out of Italy. That David Bowie single is a real impossible record to find as a stock copy. Promo's fetch around $100.00, but this stock copy sold for almost $1k more than the last known sale, and at about the same price that it sold for in 2006. More on this week's Top 5 on Vinyl Record Talk , Tuesday 8:00PM Eastern / 5:00PM Pacific on Radio Dentata. 2. Neon Indian - Fallout 7"
4. Flaming Lips w/ Lightning Bolt - I'm Working At NASA On Acid 12"
5. Brendan Benson / Ben Blackwell - Last Night In Detroit 7"
9. Radiohead - Give Up The Ghost remix 12"
10. Sic Alps - Breadhead 7"
11. D. Watusi - Slave Walls 7"
12. Jimi Hendrix - Indie exclusive Live 7"
19. PUJOL - Bonedaddy 7"
20. Cy Barkley & The Way Outsiders - Rock Together 7"
In 1957, Elvis Presley appeared at the Empire Stadium in Vancouver, Canada. This was only the third time ever Presley had performed outside of the U.S. – and it would be the last. 26,000 fans attended the show with tickets costing $1.50, $2.50 and $3.50. In 1958, Ricky Nelson kicks off his musical concert career by appearing at Steel Pier in Atlantic City, New Jersey, where he sets an all time attendance record for the venue by performing in front of 44,221 people, spread out over two days. His fee for the gig was $10,000 and his supporting acts were comedian Henny Youngman and The Four Preps. In 1963, the Angels become the first white girl group to have a US number one hit when "My Boyfriend's Back" topped the Billboard Hot 100. In 1967, the Beatles announced that they would handle their own affairs following the death of manager Brian Epstein. In 1968, Decca Records released what has been called the Rolling Stones most political song, "Street Fighting Man". The number was written after Mick Jagger attended a March 1968 anti-war rally at London's US embassy, during which mounted police attempted to control a crowd of 25,000. 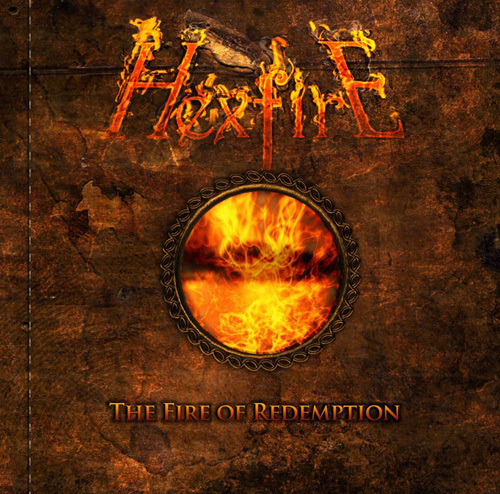 The single proved to be very popular, but was kept out of the US Top 40 (reaching #48) because many radio stations refused to play it based on what were perceived as subversive lyrics. Also in 1968, the first Isle of Wight Festival was held with performers including the Jefferson Airplane, Fairport Convention, T-Rex, the Move, the Pretty Things and the Crazy World of Arthur Brown. During a North American tour in 1969, Led Zeppelin appeared at the Texas International Pop Festival in Lewisville. Also on the bill: B.B. King, The Incredible String Band, Sam and Dave, and Janis Joplin. 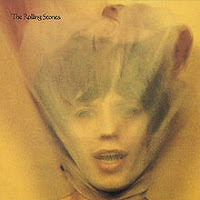 The Rolling Stones released "Goat's Head Soup" in 1974. "The Partridge Family" television show ended in 1974. In 1974, in federal court, John Lennon testified the Nixon administration tried to have him deported because of his involvement with the anti-war demonstrations at the 1972 Republican convention in Miami, FL. Carole King's "Jazzman" was released in 1974. In 1984, Purple Rain, the movie starring Prince opened at cinemas across the UK with special late night previews. In 1985, 'Brothers in Arms' by Dire Straits started a nine-week run at #1 on the US album charts. The album also topped the charts in 25 other countries and went on to sell over 20 million worldwide. In 1987, the largest pre-order of albums in the history of CBS Records occurred as 2.25 million copies of Michael Jackson’s Bad album were shipped to record stores in the U.S. The LP followed the Jackson album, Thriller, Jackson’s biggest seller of all time (over 35 million copies sold). Bad went on to sell over 13 million copies. In 1991, Metallica started a four-week run at #1 on the US album chart with Metallica. The album featured “Enter Sandman,” “Sad but True,” “The Unforgiven” and “Nothing Else Matters” and went on to sell more than 10 million copies in the U.S. alone. In 2002, it was announced that Lance Bass of *NSYNC would be the first celebrity astronaut. He would not be on the flight when he failed to pay the $20 million fee. In 2007, Hilly Kristal, founder of the New York punk club CBGB, died from complications arising from lung cancer at the age of 75. Kristal was credited with discovering Patti Smith and The Ramones and his club became a breeding ground for punk rock. The New York City venue, whose full title CBGB OMFUG stood for “country, bluegrass, blues and other music for uplifting gormandizers,” was originally launched to showcase country music. Insert the code during checkout for 10% off your entire order! nice to see Daniel doing well, cheers Daniel!!! 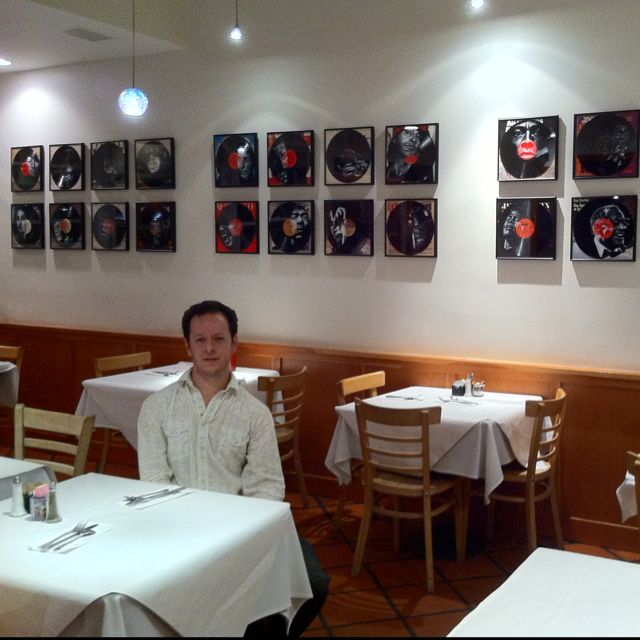 Mayberry Restaurant will display an exhibit of Vinyl Art by Daniel Edlen from August 27 through October 10. Having shown work at VH1 corporate headquarters in New York, Edlen is excited to share his work in his home town. Mayberry Restaurant in Pacific Palisades, CA presents a solo exhibit of Vinyl Art by Daniel Edlen. The work will be on display from August 27 through October 10, 2011. Vinyl Art by Daniel Edlen is portraiture on vinyl records. Handpainted with white acrylic, the portraits of musicians and entertainers grace albums of their creation. Instead of Elvis on velvet, think Elvis on an Elvis record. Some 30 pieces by Edlen will surround diners at the local, family friendly restaurant that caters to those seeking both health food and comfort food. "Having grown up in the Palisades, it's a wonderful opportunity to share my work there," says Edlen. Edlen's artwork has recently delighted those at VH1's corporate headquarters in New York, NY. He has also been commissioned by the David Lynch Foundation in their fundraising efforts. "It's David Lynch!" Edlen exclaims when asked why he donated over 20 pieces to the charity music label created by the foundation. Following the display at Mayberry, Edlen's work will be exhibited at the Santa Monica Airport Art Studios' Open Studios event on October 15 & 16. For more information please contact Daniel Edlen at 480-239-1688. A Palisades native, Daniel Edlen grew up around art and music. In art classes from 6 years old, collecting music since high school, Edlen combined his love for both with his Vinyl Art. Derived from Pointilism, the fine dots of white acrylic layer on top of the black vinyl to create the striking depth. don't usually report on digital releases, but this is heaven! Neutral Milk Hotel have recently announced plans to self-release a vinyl edition box set that compiles the band's entire body of work and also includes 15 previously unreleased tracks. The set will include the band's two albums, 'On Avery Island' and 'In the Aeroplane Over the Sea,' along with the 'Everything Is' EP, an EP of unreleased songs 'Ferris Wheel on Fire,' and three 7-inch singles along with two posters. The box sells for $108 in the US, with a dollar from each set donated to the Children of the Blue Sky charity. Canadian thrash pioneers SACRIFICE are set to release a vinyl-only demo anthology titled "198666" on October 28 via Canadian label War On Music Records. 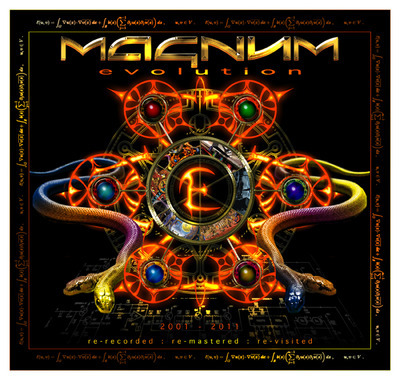 The limited double vinyl release will include the legendary "Exorcism" demo tape (featuring tracks which would later be included on "Torment In Fire"), the 1986 "Forward To Termination" demo sessions (including a rare cover of DISCHARGE's "Possibility Of Life's Destruction"), and the full 1989 "Soldiers Of Misfortune" demo sessions. 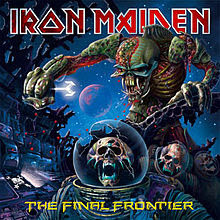 This is some of the best early recordings of any classic thrash act; the tapes sum up the raw power that was early SACRIFICE and showcase the bands evolution from album to album through the '80s. The double LP release will be strictly limited to 666 hand-numbered copies on blood-red vinyl in a gatefold jacket featuring the stunning artwork of Hans Memling. The former Beatle had ordered the iconic Aston - made famous by James Bond in the film Goldfinger - direct from Aston Martin's factory before his band's 1964 world tour. He requested for a string of extra features including special suspension and chrome wire wheels. 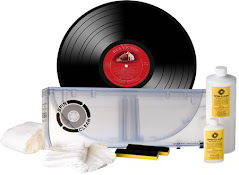 When it was delivered, the motor, with a top speed of 150mph, even had the ultimate Bond-style gadget for a 60s pop star - a Philips record player. 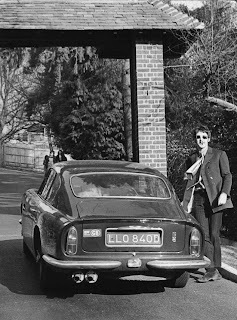 McCartney's former car, now grey, will be sold on September 21 at Duxford Imperial War Museum in Cambridgeshire by auctioneers H&H and the fully-restored British-built Aston Martin DB5 is expected to fetch more than $600,000 at auction. "The car has undergone an extensive back-to-bare-metal restoration which was completed earlier this year. Sir Paul chose the car and its specification and it has had several very careful owners since. But it is now a wonderful opportunity for an Aston enthusiast or a Beatle fan to own a unique part of motoring history." i'll check my piggy bank, maybe i have enough...nope bank empty! Singer-songwriter Robert Earl Keen releases his 15th album, "Ready for Confetti," on Tuesday and celebrates with a CD release show on Thursday at Antone's. Last Thursday, Keen took a little time off from celebrating his wife Kathleen's birthday to talk about the album, the songs and life its ownself. We spoke to him by phone from his office in Kerrville. A STASH of rare 120 Tommy Dorsey records evoking the wartime Big Band era would be music to the decompressed ears of scuba divers searching for them on the wreck of a B17 bomber in Co Donegal. The vinyl records by the American trombonist and band leader as well as a record player are among the items yet to be salvaged from 'The Meltin' Pot' which crashed in Lough Foyle in September 1942. The plane and its eleven young servicemen had endured a harrowing trans-Atlantic journey after suffering engine failure early in their flight from Newfoundland to England. Drummer Mickey Hart believes “as long as we’re above ground, there’s always a possibility” that the Grateful Dead will reunite for a tour, going on to state there’s absolutely nothing holding them back other than timing. When the band last toured in 2009, they experienced some personal tensions and creative differences and in turn, went their separate ways. Still, Hart never says never and is quick to acknowledge that there are differences in every family. When it comes to the jam band truckin’ forward, all things are negotiable. Jethro Tull’s Ian Anderson will perform the band’s classic album Thick as a Brick on tour to mark the album’s 40th anniversary next year. 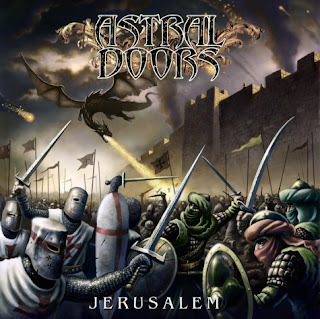 The tour will begin in Great Britain in mid-April 2012, before heading through Europe in the late spring and summer, and winding up with U.S. dates spanning September, October and November. Omnivore Records is set to release re-issues of both Jellyfish albums (Bellybutton and Spilt Milk) on vinyl this September. The records are being mastered by John Golden at Golden Mastering and the original flat analogs are being used for the new cuts. The re-issues will feature both albums in their entirety, with the first 1,500 copies of each album pressed on translucent vinyl (blue for Bellybutton and purple for Spilt Milk). In the case of Bellybutton, those limited copies will also feature the original gatefold sleeve. 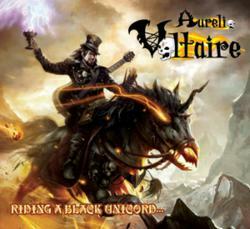 Both albums will be released September 27th, and pre-orders are being accepted at amazon.com. Rock Legend Joe Cocker Preps New Album "HARD KNOCKS"
PRNewswire/ -- Joe Cocker is without a doubt, a true musical legend. With 40 years and counting as a major force in pop music, the singer with that unmistakable blues/soul voice has earned countless accolades for his artistry—Grammys, Golden Globes, Academy Awards and platinum selling albums worldwide. The iconic singer is now signed to 429 Records in North America and is gearing up for the release of "HARD KNOCKS"—his 21st album. "HARD KNOCKS" is a collection of 9 all new songs plus a cover version of the Dixie Chicks' "I Hope." Produced by Matt Serletic (Matchbox 20, Carlos Santana), "HARD KNOCKS" has the timeless 'Cocker' sound fusing rhythm and blues, soul, and pop into an undeniable infectious mix of unique contemporary style. "HARD KNOCKS" will be available on 429 Records on November 22nd. George Harrison joined the Quarrymen in 1958. In 1959, the Quarrymen perform for about 300 teenagers at the opening of The Casbah Coffee Club, located in the basement of a family home owned by Pete Best's mother, Mona. The group consists of John, Paul, George and guitarist Ken Brown. Still without a drummer, the band shared one microphone connected to the house P.A. system and would return for six more Saturday night engagements for 15 shillings each per night. In 1964, Billboard magazine reported that guitar sales in both the US and the UK, have skyrocketed in the wake of the British Invasion. Roy Orbison's single "Oh, Pretty Woman" was released in 1964. The song was Orbison's second #1 hit. In 1967, Brian Epstein's funeral was held in Liverpool. The event was not attended by The Beatles, who wished to give his family privacy by not attracting the media and fans. In 1970, Edwin Starr's "War" was the top tune on the Billboard singles chart. It would go on to win the Grammy Award for Best Male R&B Vocal Performance. The Kinks' epic single "Lola" was released in 1970. In 1976, Jimmy Reed died in San Francisco following an epileptic seizure just before his 51st birthday. Reed was a major influence on The Rolling Stones, he had the 1957 hit “Honest I Do” in 1957 and “Baby What You Want Me to Do” in 1960. In 1977, three people were arrested for trying to steal the body of Elvis Presley. As a result, his remains would be moved to Graceland. In 1987, The East LA band, Los Lobos had the number one single on Billboard's Hot 100 this week with a remake of Ritchie Valens' "La Bamba", from the movie of the same name. Singer Cesar Rosas said that the song itself is a traditional Mexican tune that means "wedding song". In 2005, Fats Domino was rescued from his home in New Orleans during flooding from hurricane Katrina. In 2009, the Los Angeles coroner announced that Michael Jackson's death was a homicide based on the anesthetic Propofol which was found in his system. Also in 2009, a 1970 interview with John Lennon, in which he revealed some of the reasons that the Beatles split, appeared in Rolling Stone magazine. John said that his band mates disrespected and "insulted" his wife, Yoko Ono, adding, "They despised her... It seemed I had to be happily married to them or Yoko, and I chose Yoko." He also took a shot at his former songwriting partner, saying "We got fed up with being sidemen for Paul."